If you made a movie about Jing-Jing Liu’s life story, the University of Illinois’ IGB Lab 1200 would be the perfect backdrop for filming. Falling in love, pregnancies, and raising her children dance around the research, engineering, and innovations that mark her adult life. Some people bond over favorite foods or a mutual dislike for outdoor activities. Liu and her husband, Guochang Zhang, bonded over their passion for yeasts — micro-organisms derived from natural sources that produce molecules ideal for food and bioenergy production. “Both of us finished our Ph.D. at the same university … we actually worked in the same lab doing Ph.D. work,” Liu said. That’s where they fell for one another. At that time, they frequently worked together on projects, collaborated on ideas, and supported the other’s research. 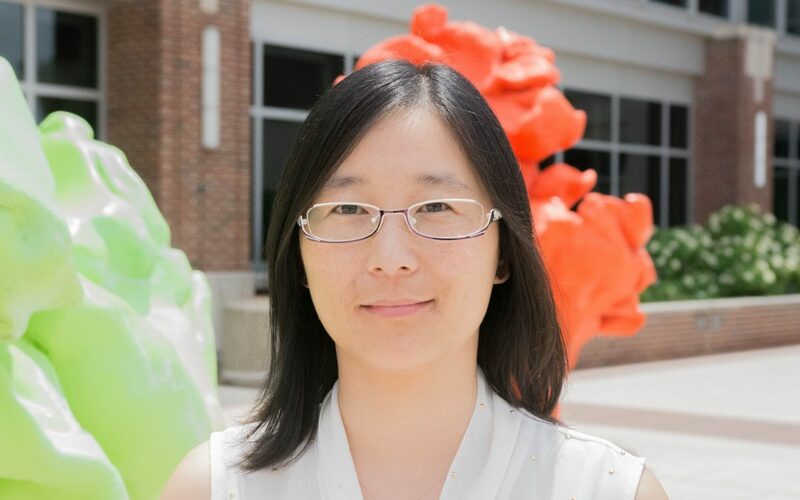 Liu, a Carl R. Woese Institute for Genomic Biology (IGB) postdoctoral researcher, has been a part of Center for the Advancement of Bioenergy and Biofuels (CABBI) since its infancy. Founded in December 2017, CABBI’s mission is to develop efficient ways to grow bioenergy crops, transform biomass into valuable chemicals, and market the resulting ecologically and economically sustainable biofuels and bioproducts. Liu is on Co-Principal Investigator Christopher Rao’s cellular engineering lab team working in CABBI’s Conversion theme. Liu’s interest in biology can be traced all the way back to when she was a little girl. Taking plants and micro-organisms from the environment and turning them into products that benefit humanity fuels Liu’s passion for her research. Previous work includes bioengineering Saccharomyces cerevisiae, a type of yeast, to produce 2’-fucosyllactose, commonly referred to as 2-FL, an important nutrient naturally produced in breast milk. And Liu has worked on biofuel projects since the beginning of her career, producing ethanol from various sugars using yeast. “Yeast is really interesting. It is incredible what you can do in the lab. 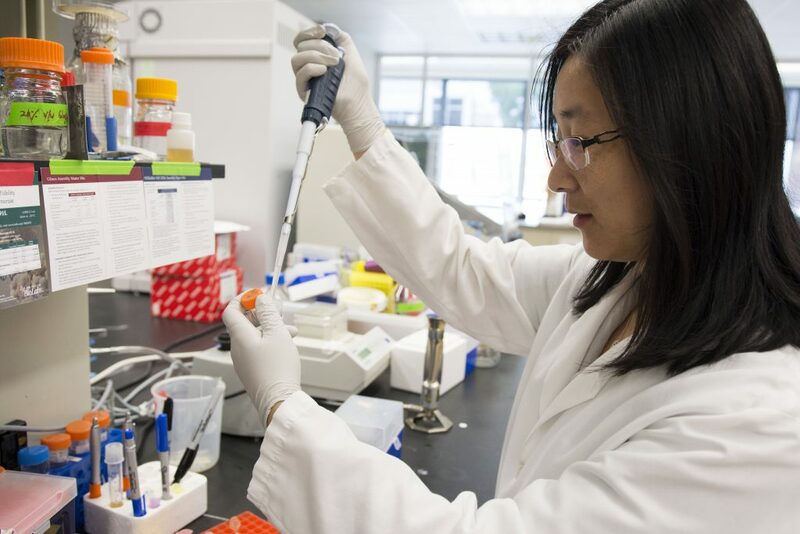 We feel like biotechnology is really helping society; we are really doing something useful,” Liu said. She cites examples of proteins produced by yeast being used to create faux leather and spider silk as a few of the unique ways scientists employ natural resources to create bioproducts. Yeast can also be engineered to produce pharmaceutical compounds to treat malaria and other diseases. Now, she’s using all of the knowledge and data she’s collected from undergraduate through postdoctoral research to convert yeast into valuable chemicals for CABBI. Liu, from the Shadong Province in Northeastern China, started at the University of Illinois in 2014. “I like it here … the traffic is less, and the University is good for research and environmental science. I can focus on my research. It’s quiet and peaceful here, and the people are nice,” she said. 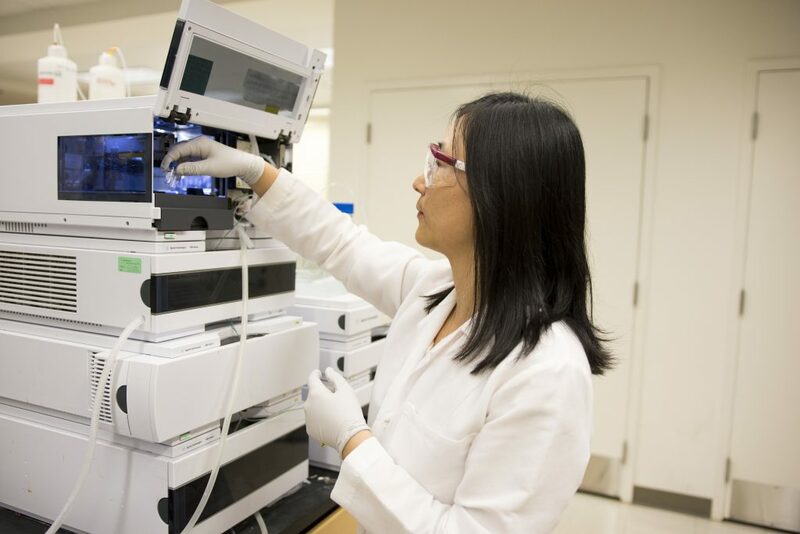 When Liu joined CABBI, she knew she wanted to challenge herself and work on completely new projects dealing with oleaginous yeast— something Rao has supported. Balancing a work-home life has given her a different perspective on biotechnology. As a parent and a consumer, providing humans with access to better nutrition and environmentally sound biofuels has been at the forefront of her research. It also gives her a different perspective on explaining her work.